Calves are a large expense, and it is wise to evaluate calf raising to ensure costs are under control. An undesired consequence of the use of antimicrobial drugs in cattle is the presence of drug residues and/or metabolites in feces and urine, or in the milk of lactating animals. In lactating dairy cattle, this translates into production losses due to withholding of nonsaleable waste milk containing drug residues. 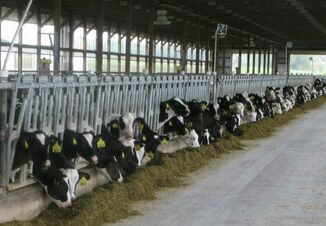 To avoid discarding this valuable product while reducing feed costs, many dairies feed waste milk to preweaned calves. We conducted a study to get an overview of the drug residues present in waste milk fed to dairy calves, while also collecting herd management data that could provide information to better understand the current scenario and direct future research efforts. A total of 25 dairies were sampled in this study, and 15 had drug residues above the limit of detection in the waste milk sampled. The most common drug residues detected in waste milk samples were in the cephalosporin class, namely ceftiofur and cephapirin. Ceftiofur is present commercially in intramammary treatments (e.g. Spectramast LC, Spectramast DC), as well as in injectable drugs (e.g. Excenel, Excede, and Naxcel). Most injectable ceftiofur drugs, if used at the dose indicated in the label, do not result in drug residues in the milk above the tolerance level established by the Food and Drug Administration (FDA). Based on answers from our questionnaire, ceftiofur was the most common drug used to treat mastitis, reproductive diseases, pneumonia, and lameness that warranted systemic antimicrobial treatment. Cephapirin is also a drug that can be found in drugs used commercially for treatment of cows with mastitis (e.g. Today). Mastitis treatment is the most common use of antibiotics on dairy farms; therefore it is not surprising that most drug residues in waste milk are probably a consequence of treating cows with mastitis. This finding highlights even further the importance of management efforts to reduce the cases of mastitis in the herd, including proper milking procedures (e.g. pre- and post-dipping of teat with disinfectants, milking cows with contagious mastitis last and in a separate string), having mechanisms for identification and accurate treatment of cows with mastitis (e.g. 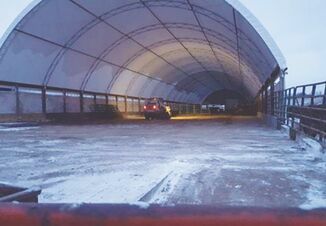 routinely culturing fresh cows and cow returning from hospital pen for mastitis, using drugs to treat mastitis according to bacteria cultured), and reducing environmental challenges (e.g. proper bedding, overall practices that results in cleaner udders). One of the future directions of our research team is to conduct studies to evaluate interventions that could reduce unwanted consequences of feeding waste milk, such as increasing resistance of disease causing bacteria. Currently, there is very limited information on how pasteurization and/or other procedures may break down drug residues present in waste milk, extinguishing their unwanted properties. Our future studies will center efforts on that topic, and information from this study has provided important information on areas to focus. The success and relevance of the impact of our research is strongly based on a continued support and collaboration with dairy farmers, so we thank you for your help in this project and potential collaboration in future projects. To simplify information, trade names of products have been used. No endorsement of named products is intended nor is criticism implied of similar products which are not mentioned.